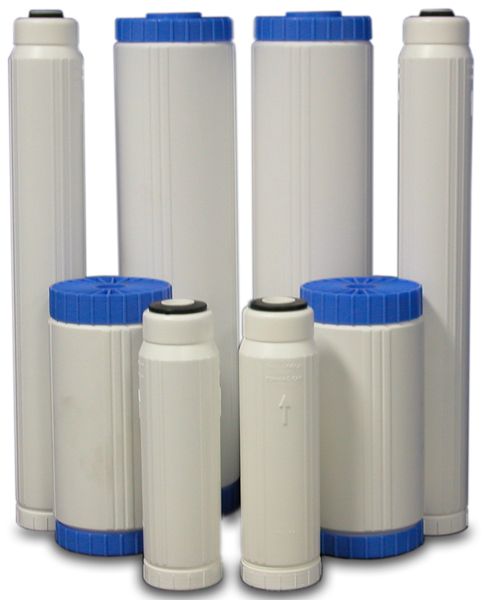 Water Softening Filter Cartridges | Applied Membranes Inc. Designed for point of use softening, these cartridges are ideal to provide soft water to a single appliance, ice or beverage machine, or other equipment. Hard Water contains dissolved minerals in the form of Calcium (Ca), Magnesium (Mg), and Iron (Fe). Removal of these minerals is accomplished by softening the water through an ion exchange process using water softening filter cartridge. As the water flows through the resin in the filter cartridge, the dissolved minerals become attached to the resin, creating soft water.